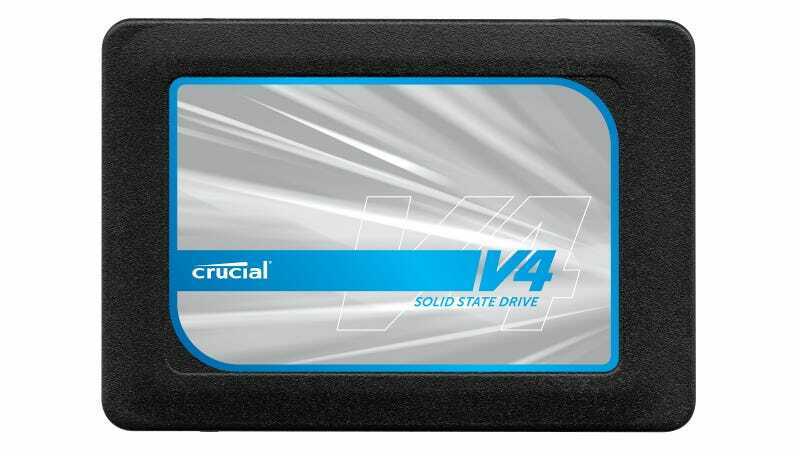 If you feel like your computer needs a boost but are struggling for cash, here's something that might help: Crucial has just launched a range of value SSDs, and you can snag the cheapest one for just $50. The new range of solid-state storage comes in the shape of the 2.5-inch v4 drives. While they're slightly slower than their more expensive sibling, the m4, they still offer read speeds of up to 230 MB/s and write speeds of up to 190 MB/s with SATA 2-capable computers. Being 2.5-inch they won't fit in an ultrabook, but they should fit in normal laptops. And then there's the prices. While $50 will only get you a 32 GB v4 SSD, that may well be all you need if you're planning to run it as a boot disk for your OS to run off, or if you only use your laptop for light work. Either way, installing an SSD will give you a massive speed boost.